Winemaker’s Notes: Golden straw color, with aromas of tropical fruit and honey. Light to medium body with flavors of melon, juicy pear, tropical fruit, and lime. My Review: A new day, a new wine to me. I’ve been doing this enough years that I’ve started to notice a trend of reviewing wines vintage after vintage, which is great because I get to see how they grow and change over the years because of changes in winemaker, climate, etc. 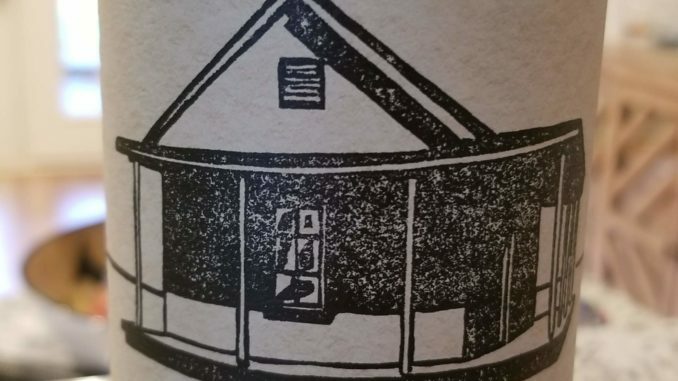 The Farmhouse White (and Red that accompanied it) intrigued me because of how the wines are made – “Farmhouse was born out of the desire to create a clean, herbicide and chemical free wine while also sharing with future generations the promise of farming with nature as opposed to working against it.” It’s hard not to get behind a mission statement like that. Mission statement not withstanding though, I’m still here to talk wine. So, what did I think of it. I’ll admit that this wine isn’t my usual Sunday afternoon sipper, which is how I ended up opening and sipping on the wine. In the glass the wine was a deep straw color, and on the nose I picked up tropical fruits. In the mouth the wine coated the mouth with flavors of tropical fruit and honey notes. While not cloying, it’s not my usual pick for a white wine (I prefer crisp, slightly more acidic whites). While I didn’t pair the wine with food, I know what I wanted to – spicy Asian dishes (some Thai or General Tso’s Chicken). While the hint of honey on the finish was a bit much for me by itself, with something slightly spicy it would have been a perfect balance. If you like a wine that’s not sweet, but has some sweetness to it, this could definitely be your wine. If, like me you prefer a crisp, acidic wine, you’ll probably want to steer clear of the 2017 Farmhouse White. If you want to learn more about Farmhouse Whites, check out their video. Editor’s Note: I received this wine as a free sample for review.